On an Indian summer September afternoon in 1874, Amasa Everett felt like he was on top of the world. He was on his way down Coal Mountain, on the south side of the Skagit river, descending to meet his fellow prospectors. He had very good news to tell them. He carefully laid down his hat, which held samples of bituminous coal that he found with very little effort. He was sprawled on the hillside, drinking from a cool, clear mountain stream when suddenly his world was shattered, as well as his leg. With no warning, a heavy boulder rolled over his right calf, crushing it. His Indian guide looked on with horror and then leaped down the trail to the place where they all planned to meet. When his two companions came back with the guide minutes later, they immediately sized up the situation. Everett was in shock and decisions had to be made quickly. Orlando Graham, a 48-year-old former first lieutenant in General William Tecumseh Sherman's division during the march to the sea across Georgia in the Civil War, saw many wounds and knew that this was a bad one. 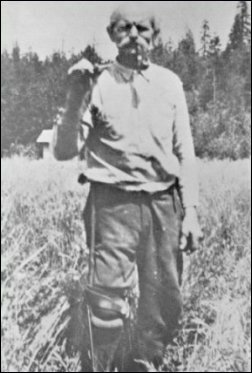 He quickly fashioned a splint from twigs and twine and a flat splinter from a tree and the men carried Everett slowly down the hillside to the canoe that they had poled up the Skagit that morning. If he was conscious and coherent, Everett may have instructed them about the splint, drawing on his own experience as a carpenter. Graham decided to accompany his friend and Indians who knew the river well, hoping that they could reach a doctor in time at Skagit city, the closest settlement, thirty miles downriver. Graham was doubly worried because he knew that two logjams impeded their travel 25 miles downriver a huge arching bend of the river near future Mount Vernon. When they reached the bend after dark that night, Graham knew they would have to build a primitive stretcher or sled and drag his friend two miles around the jams. He could see that infection was setting in and he worried whether Everett would survive the extreme trauma. This is a "place-holder story." It was originally posted back in 2002 on our original domain, and since then we have discovered many more details about the families whose stories are interwoven. We plan to completely update and extend the story by 2010. For now, we leave it in its original state. We hope that readers and descendants of the family will suggest ideas and provide copies of photos and documents that will illuminate the story when we update it. Reaching the village of Skagit City at the fork of the Skagit near dawn, they immediately hired the son of a settler to run across the Swinomish flats to the nearest and only surgeon, George V. Calhoun. Graham shuddered at the thought that Calhoun might be out of town. Dr. Calhoun was a Union Army surgeon who hiked across the Isthmus of Panama at the end of the civil war on his way to direct the Marine Hospital in Port Angeles, Washington Territory. He also practiced in Seattle and he liked the delta of the Skagit, where he planned to move. In the event that Calhoun was not at LaConner, the runner was instructed to beckon Dr. John S. Church, the first physician to practice along the river back in 1873. But Church was not a qualified surgeon and besides, veteran Graham preferred the Army surgeons who witnessed hundreds of wounds even more serious than this one and knew how to size up the situation and act quickly. Later in the day Graham could see that time was running out. Then he heard a sound like an angel's trumpet. The horn of the Seattle steamer Chehalis blasted an ear-piercing shriek a few hundred yards away. What luck! It arrived on its once monthly run up the river. Graham bundled his friend onto the deck and implored the captain to expedite unloading his freight, take on the produce and furs in great haste and then set about immediately to dash back to Seattle. The captain agreed and they were on their way that afternoon. From Maine to Minnesota to Washington Territory The three prospectors had met just a few months earlier when they were all working on Swinomish flats farms. Graham and Everett may have arrived together at LaConner the year before from Minnesota, their adopted state. Graham was a farmer, first in New York and then in Minnesota, until the Civil War fired him up with patriotic zeal at age 35 and he volunteered for the Fourth Minnesota Regiment. After four years of blood, then glory, following Sherman's lead in the march to the sea across Georgia, Graham returned to Minnesota at the close of the war and then emigrated to Fidalgo Island sometime in 1873. Everett was much younger than his companion and was from the far northeast corner of the U.S., upstate Maine, not too far from Dr. Calhoun's native New Brunswick. Born on June 3, 1849, as gold was being panned across the continent in California, Amasa showed no signs in his first three decades that minerals would play a major role in his life. His father, Lyman Everett, married Swiss immigrant Regina Sperry and Amasa was the youngest of four boys, the ninth of 11 children in the family. As is unfortunately true in many pioneer families, records of the daughters were not preserved. Lyman's father, Lyman Sr., and his brother Andrew came to America just before the revolutionary war and they were heirs back home to an estate, but they chose to enlist and fight for the colonies, which meant that their legacy was annulled. Mark Everett, Amasa's great-great-grandson, has studied the genealogy of the family and he discovered that Amasa's father worked hard as a logger in the Maine woods and was also a strong man in a traveling circus. Amasa also logged with his father and he also learned the carpentry trade. Amasa was born and grew up in the town of Washburn in Aroostook county. We have learned that the first schoolhouse in the town was built in 1859 along with a meeting house at the junction of the Blaine and Presque Isle roads. During the three or four years immediately preceding the Civil War the population of the town received quite an increase. The new Aroostook towns especially felt the severe drain of the war; their growth and development were stunted during the five years the boys were away. As we noted above, many people emigrated from the Maine-New Brunswick area to future Skagit county, one of whom preceded Amasa by more than ten years. 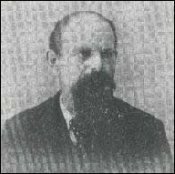 Samuel S. Tingley was born in the nearby Aroostook town of Violet Brook and became a very early settler of the Day Creek-Happy Valley area south of the Skagit in the 1880s. He first came to Washington territory in 1859 as a government employee and helped build the revenue cutter I.I. Stevens. Thirteen years older than Everett, Tingley stayed on the Puget sound until the outbreak of Civil War when he returned home and enlisted in the 10th Maine Infantry. Everett was 15 at the time and we have not made a solid connection between the two men, but Tingley may have been the link that sent Amasa out here. After the war, Tingley lived in Pennsylvania and then shipped out to Pacific Coast around the Horn on the sailing ship, the Continental. Passengers included single women from Massachusetts, called the Mercer Girls, who sailed out here to meet prospective husbands since so many young men died in the war. Asa Mercer, son of a Seattle pioneer and president of the territorial university, dreamed up the expedition. Many wound up teaching school and softened the rough edges of the frontier in Washington territory. Tingley met Miss Maria Kinney on the ship right out of New York and they were married by the time they reached Portland, Oregon. Another important Skagit settler from the Aroostook area was Amariah Kalloch, who has a road named for him in the Prairie district, so he may have also been a link to Everett moving here. After the war, good times followed the return of peace back in Maine and immigration was encouraged so that population more than doubled during the decade from 1860 to 1870, but by then Everett was on the move west. When Lyman Everett died in 1865, Amasa took over his father's logging camp and ran it successfully for three years but he struck out for the forests of Minnesota in 1868, which is where he met Orlando Graham. We do not have any record of any of his siblings moving west with him. The Illustrated History of Skagit and Snohomish Counties [hereafter the 1906 Book] says that he worked there for three years but leaves a gap of 2-3 years before his first record in Whatcom county. He may have arrived here before 1873, but in that year he boarded in LaConner and then joined Graham and Stevens, working on a farm in the Swinomish flats area. This undated photograph was often printed on postcards near the turn of the 20th century. It is a truly a puzzlement, as people might have said back then, because most of the building are news to anyone who has seen the photo. We have no idea who the photographer was or what year the photo was taken, much less are we sure of which streets are crossing. 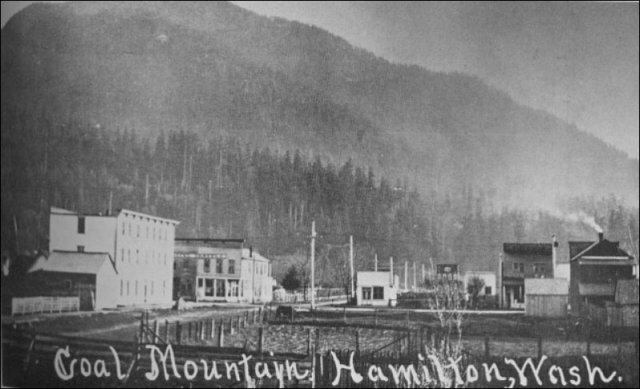 At first, we thought that the view is looking south over the young town of Hamilton, with Coal mountain looming behind on the south shore of the Skagit river. That would mean that the streets are: diagonal-left-to-right — Cumberland Street, and horizontal — Maple Street.Or . . . are we looking west-southwest at the same streets, but switched in direction? We have begun to wonder about this because of the mountains in the background and the curved slopes of Iron Mountain and Coal Mountain. Just to confuse matters further, was this photo taken before the disastrous 1897 that wiped out the early town by the river — i.e., could the diagonal street be Cumberland and is the horizontal street, Water Street, which is now covered by the Skagit River? We hope a reader can identify when it was taken, in what direction and what the buildings are in the photo. This is truly one of the most mysterious and fascinating photos that have been passed down throughout the years. The first mention of Everett in local sources is in the 1906 Book. A subchapter on the early coal prospecting in the area notes that Everett and Graham arrived in 1873 and met Stevens while they all worked on the Swinomish flats the next spring. While boarding together in LaConner in 1874, the three men met some Indians who had come downriver to trade and showed samples of a strange yellow metal. LaConner pioneer James J. Conner apparently grubstaked the fateful trip upriver to find the source for what the men soon realized was gold. Conner's name would be associated with coal and mines here for at least the next 20 years. In late September that year the three adventurers paddled up to the long log jams at Mount Vernon, portaged around them — probably with Indian guides, and poled up to the future site of Hamilton. Stevens and Everett were intent on finding more of the placer gold, but Graham learned from Indians who lived there that they had found a peculiar black metal in the mountains across the river. Graham crossed the river with the Indians and when he came back he convinced his partners to change their prospecting plans for gold and explore Coal Mountain instead, a fateful decision for Everett. While Everett recuperated down in Seattle, the third member of the prospecting party — Lafayette Stevens, stayed behind and began promoting the coal ore they had found. [Read the Lafayette Stevens story.] Stevens was a wheeler-dealer in those days and an accomplished miner. Born in Illinois, he moved west across the county, winding up in California for a year and then learned the mining and prospecting business in the wild speculation days of Nevada. He came to the county about the same time as the other two and they valued his considerable skills. Several sources have conflicting reports about how the prospectors followed up on the coal discovery after Everett's accident. Some say that Graham actively promoted the coal discovery that year; others say that the three prospectors stopped prospecting during the usual wet winter and then set out again in the spring of 1875 with newcomer John Rowley. The latter reports say that they passed Hamilton and explored as far upriver as Marblemount and only after being disappointed did they return to Coal Mountain. Tough and determined, Everett fashioned a prosthesis during his recuperation and headed back for the river. He made a remarkable recovery and was extraordinarily agile for the rest of his life, as will be seen. Regardless of the timing, the partners set about organizing a mining company and finding investors who would grubstake the three partners and provide capital to hire labor and equipment to sink a shaft down into the mountain. Conner, who owned the LaConner House hotel where the original partners originally boarded, became a principal as did James O'Loughlin, a LaConner tinsmith who would also become a hotelier. Conner was a cousin of John S. Conner, founder of the town, and James suggested that his cousin use his wife's initials, L.A., to coin the name of the village. According to JoAnn Roe's book, Ghost Camps and Boom Towns, the partners incorporated on Sept. 18, 1875, as the Skagit Coal Co. for $960,000. Offices were established in LaConner and Stevens and his original partners were named as trustees, along with six other trustees, including Henry L. Yesler, who opened the first sawmill in Seattle in 1853. Conner recalled in 1906 that he originally dispatched the three adventurers on their trip upriver and said that he had first learned of the coal from an Indian chief. Everett also said in his own paid biography that Conner grubstaked the men. Now capitalized, the company filed upon 160 acres of coal land on the north face of the mountain and in 1875 the partners hired laborers to sink a shaft 100 feet deep. That first year, they shipped 20 tons of coal ore to San Francisco, which was growing rapidly and needed coal for heat and steam boilers. One must remember that there was no rail transportation for the ore, so it could only be shipped downriver by canoe. Working with Indians, the company took two large cedar canoes and strapped a jerrybuilt container on top and headed downriver. The log jams were 25 miles away and there was no way to hack a trail through the trees growing out of the jam, and the thick underbrush and twisted logs, so the men hacked a trail two miles around the jams to the west on the river shore, along the route they used the year before to transported the injured Everett. Once the trail was finished, they hired teams of Indians and a handful of local settlers to pack the ore on sleds to the southernmost end of the lower jam and they contracted the steamer Chehalis to carry the ore the rest of the way to bunkers in Seattle. The partners soon learned, however, that the added costs of shipping the ore that way cut considerably into the company's profits, so shipments slowed to a trickle. The mine subsequently remained undeveloped for two years until Conner gained other resources, promoted it again for a number of years, and ultimately sold or bonded the company to the Skagit-Cumberland Coal Co., a group of San Francisco and Seattle investors. Roe found a record that Everett sold his share of the claim to O'Loughlin and Conner in October 1875, and Stevens and Graham may have sold out, too, because we find no more record of their involvement in the company. Everett settles near the Baker river At that point, the partners seem to have gone their separate ways. Graham became involved with promotion of Fidalgo Island as the terminus of the planned transcontinental railroad. The 1906 Book notes that Stevens staked a land claim at the site of future Sterling about the same time and subsequently lived there for the next ten years or so. The next record we have for Stevens after the Hamilton coal venture is in 1878 when he found a coal seam four miles northeast of future Woolley, at a site that eventually became known as Cokedale. Roe found a report in the archives of the Northwest Mining Journal that the Skagit coalfields were newer than the carboniferous age [about 280 million years ago] but older than the Cascade mountain range. "Geologists speculated that the Cokedale deposits were the same as that of Hamilton, and later geologists believed that the Hamilton, Cokedale, Blue Canyon, and large Bellingham coal deposits were all part of the same veins that extended northwesterly under the Georgia Strait to Nanaimo on Vancouver Island." Without rail transportation, however, the Stevens site presented more transportation problems since the mining claim was about six miles from the river and the forest was so thick on the route that even an average wagon ride took two hours. Besides, one of the logjams was still present downriver. Everett decided to strike out on his own, a very brave decision for a man with a peg leg. If that were not enough of a challenge, he would also do it alone. He told the reporter from the 1906 Book that he did not initially intend to take up land, but he soon built a cabin on the east side of the Baker river near where it empties into the Skagit, planning for it to be a headquarters as he prospected upriver. Rowley did the same at a spot on the south side of the Skagit almost opposite of Everett's claim. We find two references before 1875 to the spot that Everett picked. When the 1858 Fraser river gold rush petered out, most of the 10,000 miners who had camped out on the shores of Bellingham Bay left but one party under the leadership of Major John J. Van Bokkelen of Port Townsend explored Skagit river above the log jams and found the Baker river in the fall of that year. They followed it up a deep canyon through miles of swift water until they found a lake with Mount Baker behind. They noted the friendly Indians but they found no gold. In 1870 the Northern Pacific railroad dispatched a survey team to explore the feasibility of building a railroad across the Cascade Pass and down along the Skagit. The team was led by Daniel C. Linsley from Massachusetts and included John Tenant, an important Whatcom county pioneer, and Frank Wilkeson, who would make Skagit county famous in his New York Times columns 20 years later. On May 30 that year, they camped at the junction of the Skagit and the Baker, which the Indians called Novcultum, or White Water. Everett later spelled the Indian name, Nuhcullum. In the journal, Linsley wrote that the canyon presented no obstacle to the construction of a railway and that such work would not be particularly expensive. That was prescient. How Everett cleared the dense forest around his cabin, starting in 1875, has never been explained, but he must have been driven. After he cleared a substantial patch, Everett planted a garden each spring and it steadily grew and soon flourished. In one of the most humorous stories about the travails of settlers, David Batey and Joseph Hart, the settlers of future Sedro, bought a pig. The animal soon got loose and spent a few days dining on their seed potatoes, a delicacy that the settlers had obtained by poling 30 miles upriver to Everett's garden, three days up and one day back. Everett's ranch soon became a stopover point for prospectors and prospective settlers who traveled upriver. Everett and Rowley did not find enough placer gold to fund their supplies so the two men soon supplemented Everett's garden sales with wood products. Everett drew on his experience as a carpenter and soon the men cut cedar for cabin doors that sold downriver for $4 apiece and oars for $2 a pair. Everett adapted well to his revived life as a farmer and woodsman, but after Rowley participated in the gold prospecting trips in 1877-79 that led to the 1880 gold excitement at Ruby Creek, he grew restless. He abandoned his cabin and claim and Mr. and Mrs. Frank Hamilton took over the claim and received a patent for it two years later. That is now known as Ovenell ranch. Everett amassed enough capital by then that he was able to grubstake his friend Rowley's explorations as well as other prospectors. When Amasa Everett staked his claim on the east side of the Baker river in 1875, he had to wait until surveyors worked upriver to that point before he could apply for a homestead patent. Everett and Rowley were the first whites to settle permanently at a site anywhere above Lyman on the Skagit river. When Indian agent John P. McGlinn visited the Baker river area in the spring of 1876, he found that five young men had taken claims at the junction of the rivers; besides Everett; he remembered only men named Cobb [probably Willard] and Sanger. McGlinn noted in an essay in the book, Skagit Settlers, that shortly after they all located their claims, "Indians were jealous of this advance guard of civilization, became insolent." In Otto Klement's memoirs from the 1920s, he recalls that Indian troubles began on the Skagit in June 1877 when a thousand Indians in 200 canoes appeared at foot of jam at Mount Vernon on their way upriver. They appeared to settlers as being sullen and observers thought they moving plunder as they spent an entire day and night portaging around the logjam north of town." Messengers were sent to settlements with dire warnings because Indians carried with them kegs of gunpowder and all the buckshot, lead and firearms available at the LaConner trading post on the way up. Robert Pringle, a Civil War veteran who homesteaded near future-Clear Lake, commanded a volunteer military force to chase the Indians upriver. But Klement, who was cruising timber in the upper valley at the time, intercepted the observers sent first to keep an eye on the Indians — John Osgoodby, Abner Corell and Bill Miller. Klement and others told the observers and Pringle that the whole trip by the Indians had to do with fishing upriver and had been blown all out of proportion. The settlers went back home and when the scouts asked for pay that was supposed to come from a collection of the settlers, Pringle smiled and told them he had spent it on entertaining the "troops" after hostilities ended. That was hardly, however, the end of the "Indian Problem" upriver. As Birdsey Minkler, Karl von Pressentin, John Grandy and August Kemmerich settled in 1877-78 the area soon known as Birdsview, and others followed, surveyors were sure to be close behind them. Skagit tribes were generally peaceful and friendly to the white settlers. The lower Skagit Indian groups signed the 1855 Point Elliott treaty that ceded land and allowed for reservations, but the Upper Skagits insisted that their representative did not sign the treaty. They claimed that they had not ceded their land by any lawful treaty and had never been compensated. Family groups of the Upper Skagits had established camps and fishing grounds all along the north shore of the Skagit for centuries. They were especially upset with Birdsey Minkler's settlement on a campsite on the north bank and they were successful years later in challenging his ownership to it. But for the period preceding the Ruby Creek gold excitement of 1880, they bided their time. Another uprising was rumored in 1879 when some white settlers said their Indian wives told them that an attack was imminent. Settlers slept in woods for a few nights, just in case, but the rumors turned out to be baseless. The few references to subsequent dustups were written years later and some dates and situations were confused and garbled by either the storyteller or the recorder. 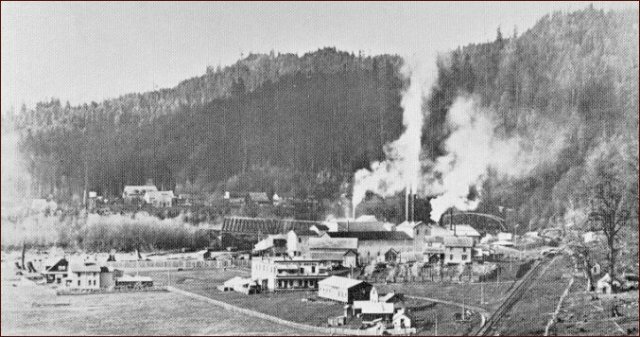 Matters came to a head after a few thousand miners and prospectors invaded the Cascade foothills 20-50 miles east of Concrete in 1880, after the initial discoveries of placer gold were revealed in the Seattle press. By 1881, surveyors were making their way upriver and Indians saw that as preliminary to giving title of disputed lands to whites. The aforementioned John P. McGlinn reviewed in his essay the first serious breach of the peace, which he did not date, but seems to be in the period of 1879-80. McGlinn and others noted that one morning a considerable force of Indians converged at Everett's home east of the Baker river in dozens of canoes, "togged out in war paint and feathers." They demanded that whites abandon claims and move down the river, claimed that their God had granted Indians the land and repeating the complaints outlined above. McGlinn noted that the settlers were well armed and, fortunate for all, the matter passed without bloodshed. But the Baker-area settlers complained about the Indians in a letter to General R.H. Milroy at Olympia and requested that an Indian agent be sent up to resolve the matter. McGlinn, who moved from Logansport, Indiana, in 1872 to become the agent at the Tulalip agency in Snohomish county and the Swinomish reservation across from LaConner, hired Indians to pole him up upriver. He arrived at Everett's place and sent word to the Sauk river Indians to come for a friendly talk. They came the next day under the leadership of an Indian he called John Wha-sit-can [other sources call him Wa-wit-kin], and another chief called John Campbell. McGlinn met the Indians on the bank of the Skagit and told them they had indeed ceded land by the Point Elliott treaty and that they could move to Tulalip or Swinomish. In addition, he warned them that if they injured settlers, the strong arm of the Great White Father in Washington, D.C. would protect the whites. Some "excited young bucks," as he called them, objected strongly and a sub-chief openly advocated force, but Campbell prevailed in counseling peaceful resistance, but insisted that whites should go no higher up river. They claimed that their Tyees, or chiefs, had not signed, that territorial governor I. I. Stevens had fooled and robbed them, and that they would never go to the reservation. Violence finally broke out in 1881, the year noted by most sources, but details vary. We summarize the story. Sometime that year a surveyor variously identified as Tilt Sheats or a Mr. Henry advanced as far as Everett's farm to survey boundaries in the upper Skagit area. According to more than one source, Everett advised the survey party that that all they had to do was kill a few Indians and they would have no further trouble, an intemperate remark for sure, but even worse, an Indian heard it and reported it to Indian camps all the way upriver. Upper Skagit Indians ordered Henry to leave the region, but he ignored them; They then smashed his compass, threw his instruments into the river, chased his cook way; and then he left. Soon thereafter, two Indians attacked Everett with knives at his cabin. Hand-to-hand combat ensued, which must have been a sight with Everett hobbling on his peg leg, but he fought them off gamely. Soon he located his pistol and one report says that he killed both Indians and another says that he killed one with a shot to the mouth, but only wounded the other one. A third report says there were more than two Indians and that after Everett only wounded two of them, the others dragged their wounded companions away and warned him that they and many others would return. On the next day, dire messages passed from camp to camp upriver, where a war of extermination of the entire white population became the watchword. More friendly Indians warned the settlers in the area to leave immediately, warning of harm. The whites removed to the von Pressentin ranch and Bernhard von Pressentin rowed swiftly downriver to LaConner to wire for the military at either Port Townsend to intercede. Meanwhile, Everett turned himself into the authorities. From then on, the accounts vary widely. The account that Everett gave seems the most fantastic of the bunch. He told Charles Dwelley, later the publisher of the Concrete Herald, that he was acquitted at a quickly held trial in either Mount Vernon or LaConner and that he was told to give $20 each to the relatives of the dead men. The Indians were told make restitution for the damage to his property and the property of the surveyor. According to his account, eventually all was forgotten and they all became friends again. The renewed friendship was aided when the U.S. Army sent a very boastful officer [possibly a Colonel Pollock or a Colonel Chambers] upriver to keep the peace and his remarks incensed the Indians. On Everett's advice they staged a fake ambush, greeting him with wild volleys of rifle fire over the heads of the soldiers. The canoe took off at full speed for the lower valley and the officer never came back. Although widely repeated, that story is not verified anywhere. Other reports all agree that Everett was acquitted of the murder because of self-defense, but the other details vary greatly. Dwelley says that Everett escaped from his cabin and was rowed by Willard Cobb in his canoe down to Mount Vernon where he turned himself in. Klement says that the trail was held in Lyman, where Klement had a trading post, but that is highly unlikely since the only court in the whole district was at LaConner and Lyman had only a dozen inhabitants and no police or government quarters. In her book, Valley of the Spirits, author June McCormick Collins explains the Indian point of view, garnered when she lived with and observed Indians over a 20-year period in the 20th century. She wrote that the Indians did not threaten reprisal until after the trial, and then their anger was because of Everett's quick acquittal. She agrees that settlers went to the Von Pressentin ranch, but when Bernhard von Pressentin went downriver to LaConner, he wired for help to a Colonel Simmons at Vancouver, Washington. In her story, an entire company of troops and volunteer settlers soon took steamers up the sound, then took the sternwheeler Josephine as far as Hamilton [the Mount Vernon log jams had been cleared], and then proceeded by foot and boat to the von Pressentin ranch. The Indians then fled and the soldiers followed them, meeting with them at the Baker River near Everett's ranch. This council followed the course of meetings before, but after hearing the Indian complaints, Simmons said that he could not adjust the wrongs and warned of severe reprisals if they injured settlers. He suggested that they apply to the Department of Justice to vent their dispute. The Indians agreed but their leaders realized that they would never win and soon began a movement to the Suiattle river, which emptied into the Sauk river, and other tributaries where Whites had not yet settled. She also wrote that five Upper Skagits, led by Chief Wa-wit-kin appealed to territorial judge Roger S. Green for assistance. Klement adds a detail that a Colonel Chambers led the troops upriver. Klement wrote in his memoirs that in 1882, Chambers and his troops were again called to the valley to quell a threatened uprising. The Indians from the Sauk river were the leaders of the dispute, but downriver Indians joined in. A conference was held at Lyman and extended over two or three days. Klement says that the Sauk river Indians were led by Chief Wa-wit-kin, and that a leader identified only as Poison led Indians of other upper Skagit groups. From Klement's point of view, Poison made a nuisance of himself and could not clearly define his grievance. After questioning, Poison turned out to be a Klickitat Indian from east of the Cascades, and the colonel mocked him and ordered him back to his tribe, with the apparent approval of local Indians seemed to approve. In a patronizing aside, Klement noted that Chief Wa-wit-kin was a "very quiet, sensible Indian" and was satisfied with expressing his complaints, not advocating violence. Everett finds lime and clay and gets hitched For the next few years, Everett's life settled down and he continued clearing his property and expanding his garden. The 1906 book lists the only settlers at Baker in the years right after 1880: Mr. and Mrs. Frank Hamilton; her half-brother, Theodore Sunter; Mr. Sunter's mother, Mrs. Emily Glass (the first white woman to live that far up the river). Other neighbors close by where Orrin Kincaid, who was also an early Mount Vernon settler with a street named for him, and a man named Anderson. Everett had apparently given up his prospecting days for good, but he still grubstaked others who had verifiable claims that looked promising. Sometime by about 1885, he explored the area around his ranch in more depth and one day, after finding interesting clay deposits on the banks of the Baker river, he found a ledge of marble and lime rock on his property. The discoveries intrigued him and he began studying geology, eventually learning that the deposits he found were basic elements in cement, the material that Romans used two millennia earlier to build roads, viaducts and buildings. Seattle Times reporter Eric Sorenson researched the history of Everett's discoveries and the eventual town of Concrete in a fascinating July 1, 2001, Pacific Northwest Magazine article. He interviewed Emily Mullen, who grew up in Concrete and then studied geobiology at the University of Washington. The limestone owed its existence to the improbable 330 million-year journey of a bunch of odd ocean animals that lived half-way around the world. The animals died by the millions, their calcium-carbonate carcasses piling up and drifting on a lithospheric raft of ocean crust to the Northwest, where they ultimately formed the core of a small mountain of limestone. Clay arrived more recently, flushed from the ice of a massive melting glacier. Nature's luck became Amasa Everett's luck became a town's luck as the limestone and clay spawned a small, brief civilization, with schools and jobs and noise and danger and "professional girls" and barbers and bars and lots of dust. . . . Crinoids (pronounced CRY-noids) are echinoderms, mostly bottom-dwelling animals related to sea stars and urchins. . . . Somewhere in the Pacific, possibly in a quiet volcanic arc or a deep ravine, was a vast trove of dead crinoids. Embedded in sediment, they rode the crust of the ocean floor north as it floated on the liquid mantle below. At last our crinoids bumped into the northwest corner of the North American continent. About 100 million years ago, this new rock was thrust and folded so much in the North Cascades that some material from 15 miles down ended up at ground level. The Concrete limestone, which remained miles below the surface, was finally exposed by tens of millions of years of erosion. Then came the last wave of glaciers, which butted into the Skagit River valley from the west, blocking the river and getting plumes of sediment to settle out in layered beds of silt and clay, cement's other key ingredient. It was the final act of luck in Concrete's prehistory. . . ."You've got Paleozoic against the last Ice Age," said Joe Dragovich [of the state Department of Natural Resources]. "To have clay right next to limestone, God, it might be the only place in the state." Imagine Everett's surprise the day he learned that he was sitting on top of mineral formations that made up many times over for the meager returns from his first years of prospecting for gold and coal. He would not cash in, however, for another 20 years, after gypsum deposits were located — a material necessary in the production of cement, after many forests were leveled for the wooden building materials, and after contractors across the U.S. realized the need for concrete on really massive public projects. Meanwhile, he kept expanding his garden, carving doors and oars, and welcoming travelers who arrived at his doorstep after grueling hours of riding horseback along narrow trails in the forest or who arrived on sternwheelers that could traverse the rivers no further. For instance, when the family of Illabot Creek pioneer Henry Martin joined him at the Skagit river in late July 1889, Martin brought them up to their new home on canoes that he poled up the river. One night they camped out under poles covered with piece of tarp in the dense forest. Another night they stayed with pioneer Otto Pressentin [Karl's son] near the town that William Hamilton was developing downriver a few miles, and the least night they were thrilled to stay in Peg-Leg Everett's warm cabin on the Baker river, where he served them bacon and eggs. Also in 1889, Everett teamed up with his old partner Lafayette Stevens when they went prospecting for money. Skagit county, which broke off from its parent, Whatcom county in 1883, and by 1889 the Skagit river was hot in the financial world. The first standard gauge, common carrier railroad, the Fairhaven and Southern, was building a line from Fairhaven on Bellingham Bay to Sedro on the Skagit river, which Mortimer founded four years earlier, about 20 miles downriver from Everett's ranch. That summer, financier George H. Bacon decided to travel down from his base in Whatcom to loan money to Skagit farmers. He came by steamboat, the only practical form of transportation between the counties since there were no through roads, just old Indian paths that were not wide enough for a wagon. Bacon was 22 and described himself as looking to be 16 and "regarded as a freak — probably crazy — by the old-timers around the bar," but he was a good judge of character. His cousin Henry designed the Lincoln Memorial in Washington, D.C. In his memoirs, Booming and panicking on Puget Sound, which his daughter published in 1970, Bacon noted that he arrived in Skagit county just as a freshet, or spring flood, was sweeping massive logs down the river. On his first night in Mount Vernon, the Henry Bailey sternwheeler from Seattle docked next to the Washington Hotel where he was staying and out walked Amasa Everett on his peg leg and Lafayette Stevens. Both were seeking $3,000 loans and they were happy to meet Bacon, though Stevens cross-examined him to make sure he actually had access to such a sum. Bright and early the next morning, Stevens arranged for horses and he and Bacon set off for Stevens' upriver ranch at Sauk Prairie, a ride of about 65 miles upriver, far beyond Hamilton and on the south shore of the Skagit. They crossed the Skagit at Riverside on a cable ferry, the first that Bacon had ever seen and he describes how they rode for "interminable miles through the most wonderful fir and cedar timber I had ever seen. The only wagon road ran about thirty miles up the river and then stopped, the remainder of the journey being by trail." Soon they forded the Baker river near the present site of Concrete and stayed the first night at Everett's homestead on the east side. Bacon marveled at how Everett had cleared the whole farm, including the stumps, and put in crops, all done while hobbling on his peg. The next day they rode 40 miles through thick forest on the north shore and then swam their horses across the Skagit at the mouth of the Sauk river. Bacon found the trip to the Stevens ranch fascinating and educational, but Stevens made a very negative impression on the young money-lender, coming off as a boaster who complained about many of the people they met being crooks. Bacon wondered if Stevens was projecting his own fault. When they returned to Mount Vernon, Bacon conferred about the loans with his new friend, Dr. Horace P. Downs, the Boston-born Skagit County Auditor, who settled near the river in 1877, the year that Mount Vernon was born. "Thoroughly acquainted with farm and timber values, . . . he told me that one man was good and the other man was no good, and I made Everett a $3,000 loan which turned out to be first class in every respect." Stevens either stepped on some of the wrong toes in his business dealings or his riverboat gambler image offended the good doctor. After using his loan to clear more of the land on his ranch and to buy badly needed tools, Everett addressed another pressing need: a wife. He was ready to settle down for good. Mary Zeiger was born in Germany in 1872 and emigrated with her family to the U.S. in 1888; they soon settled in Washington territory, which became a state the year later. Leonard (Mark Everett's great grandfather), the first child of five, died in 1892. The next year, they hunkered down, as did most people in Skagit county, as a great Depression as bad as the one in the 1930s set in and dragged on until 1896. This is a photo of Cement City, sometime after 1906. We are looking northwest towards the Baker river and the canyon, with the hotel at the left center, the Washington Portland Cement Co. plant behind, and the Great Northern railroad track to the right. The photo is from the book, Skagit Settlers, which is out of print but new copies are still available at the Skagit Historical Museum in LaConner. By the turn of the century, Everett realized the potential value of the limestone and clay on his ranch and by the river. He used the clay to make brick for his own fireplaces and possibly for others. In an interesting side note, Thomas Edison formed the Edison Portland Cement Co. in 1899, and made everything from cabinets (for phonographs) to pianos and houses, but the company was one of his few failures until it built Yankee Stadium years later. In 1903, the first concrete high rise was built in Cincinnati, Ohio and builders realized that cement could be a valuable construction material. Everett sent samples of his limestone and clay to assayers who reported that he had excellent material for cement and brick. 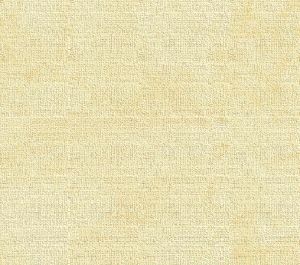 After the material was assayed favorably, he relayed information to financial sources in New York and then hobbled on his peg leg up down the canyons of New York City, spilling samples onto the desks of financiers and investors. Soon a man named O.C. Miller [also named E.E. Miller in the same story] was dispatched to the Baker river to look over Everett's property to assess the bulk of the raw material. Miller immediately purchased from Everett 45 acres of level land nearest the quarry site. One of the factors that convinced Miller of the potential value was when he saw that a railroad bridged the Baker in 1901, opening up Everett's property. A depot was built on his land, bypassing the site of what is now downtown Concrete on the west bank. The only industry there on the west was Daniel Dillard's shingle company, which soon became one of the largest mills in the state. Richard Challenger staked out property and built a cabin on the west bank in 1888 and called his patch Minehaha. His legacy is the present Challenger road that roughly followed the original wagon route and long served as the upriver highway above Hamilton. In 1890, Magnus Miller — the original blacksmith of old Sauk City on the south shore, bought the Challenger property and founded the unincorporated village of Baker along with John Benson the next year. C.W. Greist platted the town of Grasmere two miles west in 1901 Two years later, James Van Horn affixed his own name to a town a mile east of Everett's ranch. Construction began on the Washington Portland Cement Co. plant on Everett's original ranch in September 1905, along with a wood flume five miles long, several feet wide and up to 30 feet off the ground to bring water from Lake Shannon to the plant. The company office was built right on Everett's home site. The area east of the river was known as Cement City and East Concrete, but was never incorporated and we cannot find any evidence of a post office there, which seems unusual. N.L. Warford designed an extensive facility that processed limestone brought down by gravity aerial tramway from a quarry above the plant at Everett Lake. Clay was nearby on banks along the hill. Planned for 300 barrels per day, the plant soon passed expectations by producing 2,500 barrels per day when all four kilns were in operation, with steam plant generating system. Storage capacity of the plant was 75,000 barrels, which could load onto Great Northern rail cars at the rate of 40 cars every 24 hours. Cement City began with a hotel, stores, company homes and housing for employees, which returned a handsome reward for the many years that Everett hobbled around on his ranch. We found evidence on the Web that Everett had extensive holdings on both sides of the river. Just north of the depot in Grasmere, Jerry Metcalf built the Grasmere Shingle Co. in 1908 on Everett's land, and Everett built several homes there for the workers. Amasa's third child (of six), Leonard R. Everett — born on the ranch in 1892, moved into one of the homes in 1916 after the shingle company closed. He connected his home water system with a wooden pipeline near the old mill site, which was a diversion from [Bear??] creek. Amasa still owned the property but he was long gone. Back in 1910, he moved his family to the town of Colby where he built a large two story home bordering on the edge of Puget Sound. In Colby he dealt in timber and real estate until 1914 when he purchased 160 acres for a stock ranch on the Union river at the head of Hood Canal. On that property he raised beef cattle and built a large barn and which was later used as a dance hall and club for the town of Belfair. Amasa retired in 1921 at age 72 and he and his wife Mary lived in the house on the farm until his death in 1938 at age 89 years. Mary Zeiger Everett died on the farm at age 76 on Nov. 18, 1948. The Mary Everett Circle of the Colby Methodist Church was named in her honor. Leonard made his own mark on Concrete as a contractor. After attending Concrete schools, he took a course with the International Correspondence School in Construction and Engineering. He originally learned carpentry from his father on the ranch and was employed by the Washington Portland Cement Co. as well as the Superior Portland Cement Co. as Superintendent of Construction. Superior, which opened in 1908 — the year before Baker was incorporated as Concrete, absorbed Washington in 1919. After helping his father build the new house at Colby, Leonard returned to Concrete where he became a general contractor. In 1919 he built the Argerin building, which has housed the Concrete Department Store since 1936 and which replaced the original Whitney Hotel. He also built other homes and buildings and four county Bridges on the country road from Sauk to Darrington. Leonard died in November 1953 after retiring from the contracting business in Oak Harbor. He was the father of Mark Everett, who lives in Forest Grove, Oregon, and maintains the family history. Upper Skagit River: Utopia to Cascades, including all Concrete-area stories.